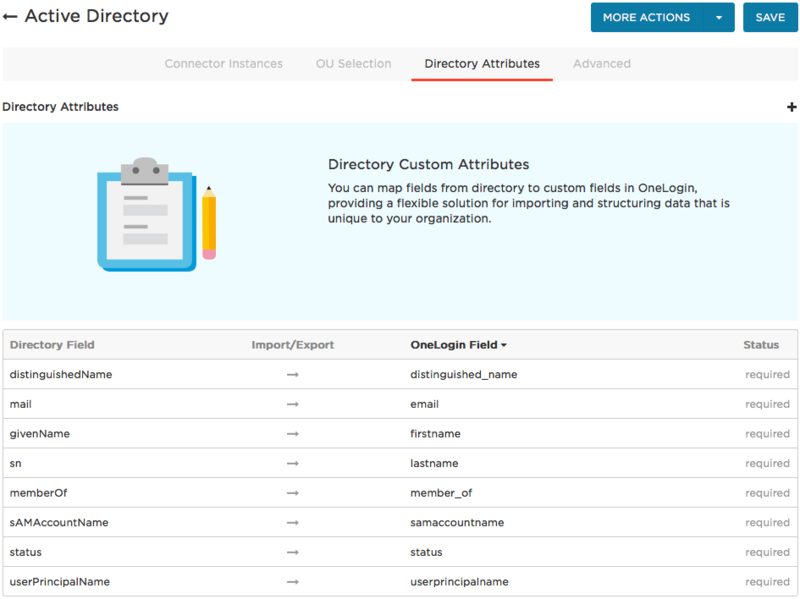 Once you have installed Active Directory Connectors for your OneLogin-Active Directory integration, you must configure the integration between Active Directory and OneLogin. 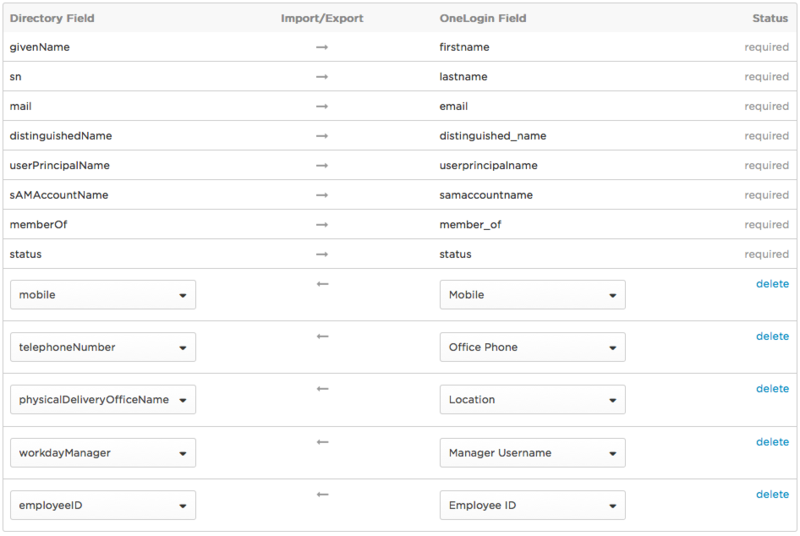 Create a custom user field. 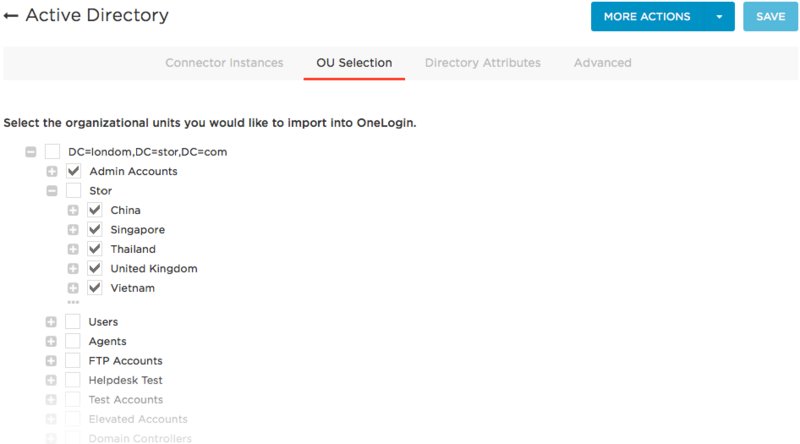 Login username attribute: Select the attribute that your users should use as their user name on your company's branded OneLogin login page. The default is email address. 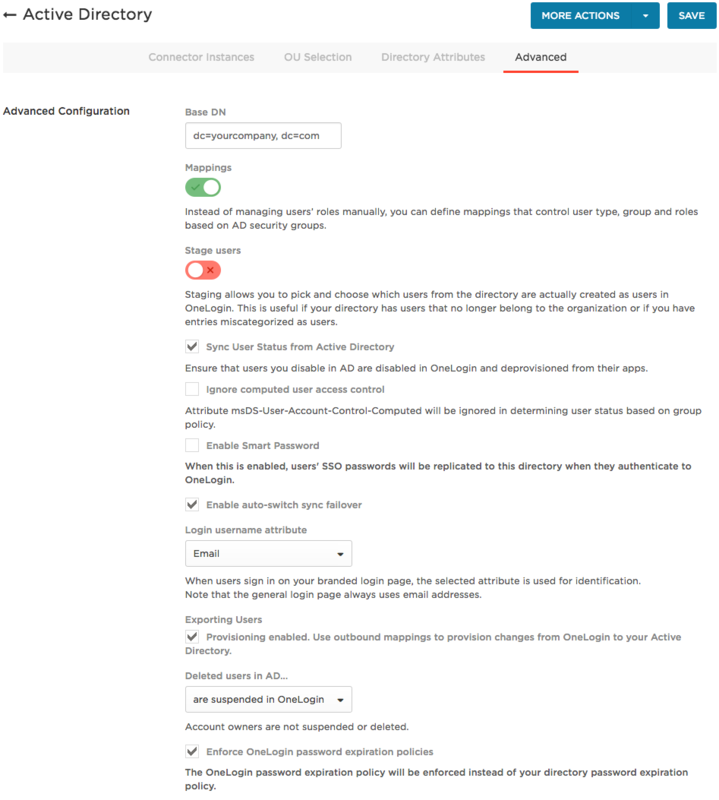 Enforce OneLogin password expiration policies: enable to make Active Directory respect OneLogin's policy-based password expiration settings, if the OneLogin policy is more restrictive. When you enable this setting, the most restrictive password policy always wins: if OneLogin's password expiration interval is shorter than your Active Directory's, OneLogin's is applied. If your Active Directory password expiration interval is shorter, its policy is applied.